An InFamous comic book series will bridge the story gap between InFamous and InFamous 2, but whose story? Cole made some changes in his life after InFamous, and a new comic series planned will explain exactly what happened between the first game and InFamous 2. DC Comics and Sucker Punch have announced an upcoming collaboration that will see Cole flattened out and placed on a newsstand. It probably won't explain why Cole originally became someone completely different when we got a first glimpse at InFamous 2, but it would be a hilarious nod if the change was at least mentioned. Perhaps a first panel showing Cole cutting his hair and burning his wardrobe? The InFamous comic book series will span six issues and show what Cole and his acquaintances had to go through in their efforts to save Empire City. We apparently already know it didn't go well, because Cole is forced to flee to New Marais in InFamous 2. Still, the comic will show why it didn't go so well, and "reveal sinister motives, dark secrets, and introduce a new threat to Cole and all of mankind," according to Sony. It'll be written by William Harms and illustrated by Eric Nguyen, with cover art by Doug Mahnke. Having played and loved InFamous, a game that makes the choice to be good or evil integral, I can see how this comic series will be a problem for around half of the franchise's audience. Unlike a game, a comic book cannot give players two choices, unless it ends up having an upside-down cover on the reverse side and is two stories in one. The accompanying cover art shows Cole with his "good" powers, so evidently the Cole found in the comic book will be the nice version. Though the book is said to lead into InFamous 2, if you were a jerk in InFamous it could be a huge disconnect. Also, how will it handle the game's major choice at the end that had sweeping consequences for Cole himself? 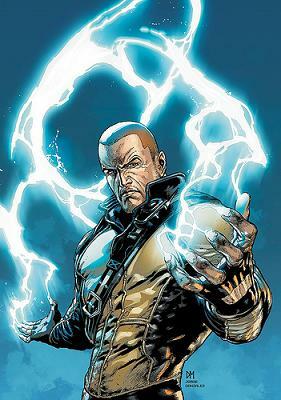 It might be just a comic book, but InFamous highlights the issue with creating games that allow for choice and attempting to merge them with linear media. But hey, it's an InFamous comic book, and that could be pretty cool anyway. The first issue will be released in March 2011.